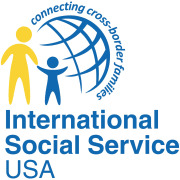 Position Overview: International Social Service is seeking a motivated, organized, and detail-oriented Fund Development and Communications Intern to join the team. This role will be responsible for a range of fundraising, communications, marketing, and event planning initiatives to build brand awareness, increase revenue, and enhance visibility of our organization. Reporting directly to the Development & Communications Coordinator, the Fund Development and Communications Intern will work independently and collaboratively to support the implementation of strategic plans. Knowledge of Donor Perfect, Constant Contact, Google Analytics, and web design are a plus. To apply for this position, send a cover letter, resume and writing sample to Marie Blum, Fund Development and Communications Coordinator, at mblum@iss-usa.org.